Who doesn't want some more 'me-time' in their lives? We speak to Editor Andrea Duvall of Prevention Magazine to discuss why it's essential to take some time out for yourself or better yet give some 'me-time' to your Mum! No excuses...! Being not only the Editor of Prevention but also being a Mum, could you tell us why it's essential to make time for yourself with some 'me-time' ? I think most women understand how it feels that when you’re juggling a job and a family, ‘me-time’ always seems like a low priority. But it’s actually more important than ever – I love the analogy “it’s like being in a plane and you’ve got to put the oxygen mask on yourself first!” We owe it to ourselves and those around us to be relaxed, happy and healthy. When you stop laughing at life, or when you find you’re tired all the time, those are sure signs you’re not tending to your own needs. While it’s easy to dismiss this, research has shown that chronic stress, the kind that flickers away in the background every day, has long-term effects on our health and our longevity. So we need to find ways to diffuse it – that’s where ‘me-time’ comes in! It’s the fuel that makes us the happiest, most energetic versions of ourselves. Why do you think magazines and ‘me-time’ make the perfect combo when taking time out for yourself? Why do you think Prevention will make the perfect gift for Mum? Because Prevention inspires every mum to be their healthiest and happiest – and isn’t that what everyone wants for mum? We get fantastic feedback from readers about the transformative impact Prevention has had on their lives. We inspire our readers to look after their health and fitness, and we offer easily do-able activities to keep them in shape. We have great information about healthy eating, and we offer the latest science-based news about protecting our health along with ways to look after our bodies as we travel through our 40s, 50s, 60s and beyond. We’re proudly aimed at motivating women to feel their best, head to toe, inside and out. 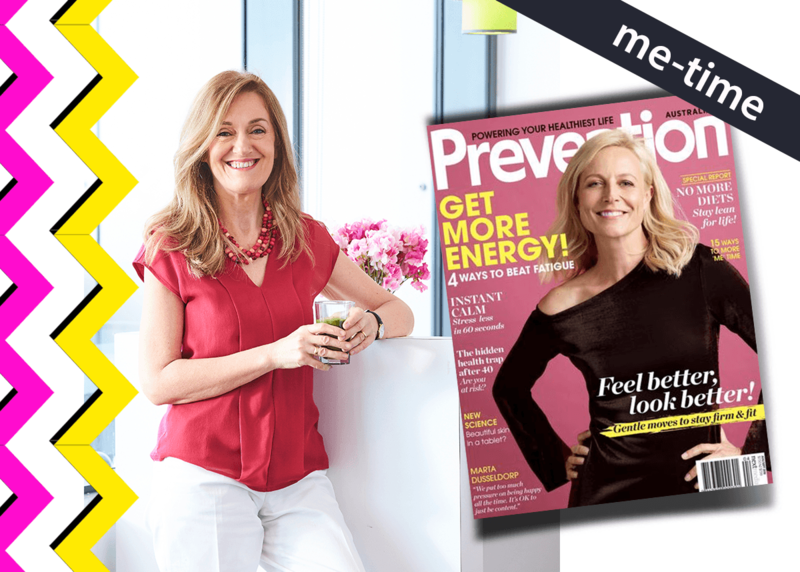 At just $39 for a whole year of ongoing inspiration, a subscription to Prevention is an investment in your mum’s health and happiness you’ll want to give her!